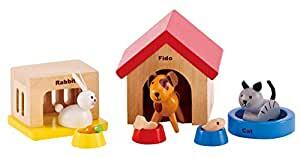 The Family Pets’ highly-detailed design includes three kinds of pets with different houses and food, and is a great tool for teaching children how to raise pets and about their eating habits. Playing with these furry friends stimulates children's imaginative thinking and story-telling skills. 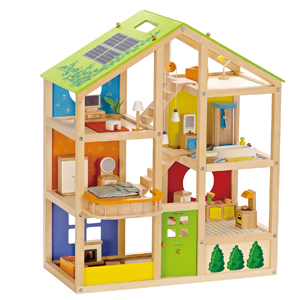 Combine with other Hape Doll House & Furniture sets to enrich the play experience. 1.0 out of 5 starsBUYER BEWARE! Items NOT as pictured. Pictures tell a thousand words so check mine out....the box is correct and shows the set of wooden pets and their houses, but once I opened the box there were just some dinosaurs (yes, you read that correctly, DINOSAURS) and two random blocks! Completely bizzare and frustrating. 5.0 out of 5 starsMy Daughter's Favorite! 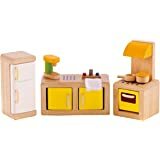 We bought this to go with our daughter's wooden KidKraft dollhouse, also purchased here on amazon. 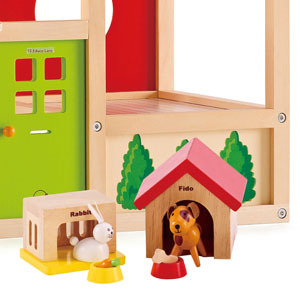 But this Hape Pet Set is definitely one of her favorite toys! Sometimes she even plays with them without the dollhouse. This set is very well made and the little details are wonderful! 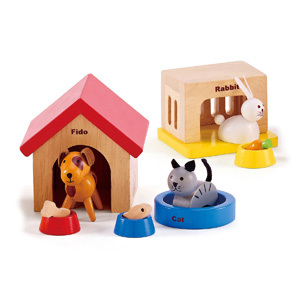 There is a cat, dog, and rabbit, that each have their own house/bed, food dish, and food. We even purchased the Asian family by Hape and she loves them too! 5.0 out of 5 starsPrecious, adorable little animals! For my daughters fourth birthday we bought her a dollhouse. I found a family I loved, but I have an animal loving little girl so I looked everywhere and finally landed on this set and I'm so happy I did! It is definitely higher priced than others but the quality of hape is unmatched. Hape makes the most beautiful little toys that draw you in even as an adult. They had such cute little details for ears and faces, my daughter was just enchanted the moment she opened them! She has had them for over a month now and is pretty tough on her toys and they look brand new. I imagine we will still have these around when she has outgrown her dollhouse. 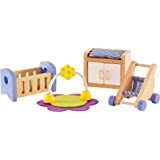 I love all of the Hape doll house items, and so does my daughter and son. However, yet again, I have a set where a main piece is missing. 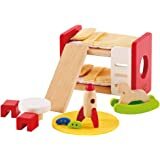 For the animal set it is the cat, and the set had two rabbits (before it was a coffee pot, which was not important to my kids, the missing cat is). 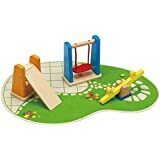 I bought about 8 sets before my daughters birthday, gave her two at the end of last month for her day, and now I cannot get any help on my missing piece because the return period is closed through Amazon. So, if you did what I did and buy a bunch of sets, and save some for later, check to see if all the pieces are there, that way you can contact Amazon for help.